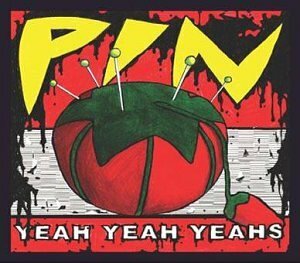 Jaggedly blasting it’s way from confines of the sublime ‘Fever To Tell’ and going solo for your pleasure is the Yeah Yeah Yeahs new single ‘Pin’. It was one of the many highlights from the album and loses nothing taken out of that context. Karen O purrs and screams deliciously above the driving guitars of Nick Zinner while Brian Chase pounds the drums for all he is worth. Along with ‘Rich’ on the B-sides is a cover of ‘Mr You’re On Fire Mr’ by the Liars (Taken from their album ‘They Threw Us All In A Trench And Stuck A Monument On Top’ which is well worth a listen if you have missed it).